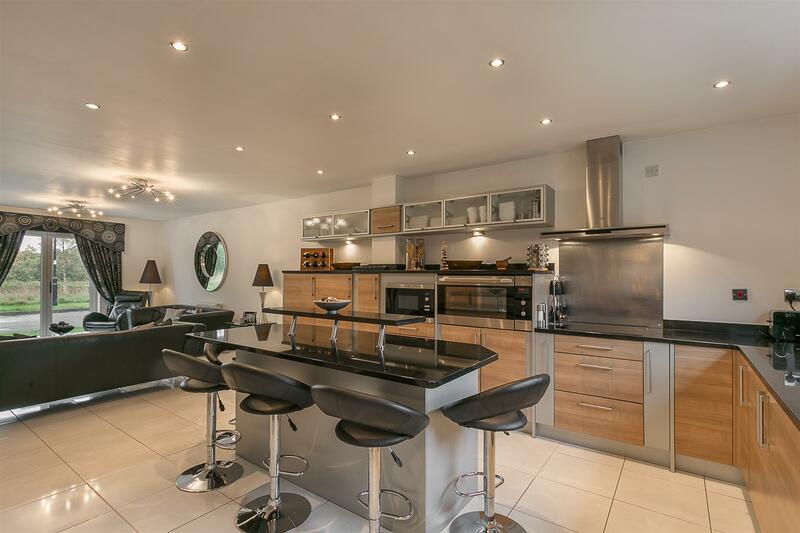 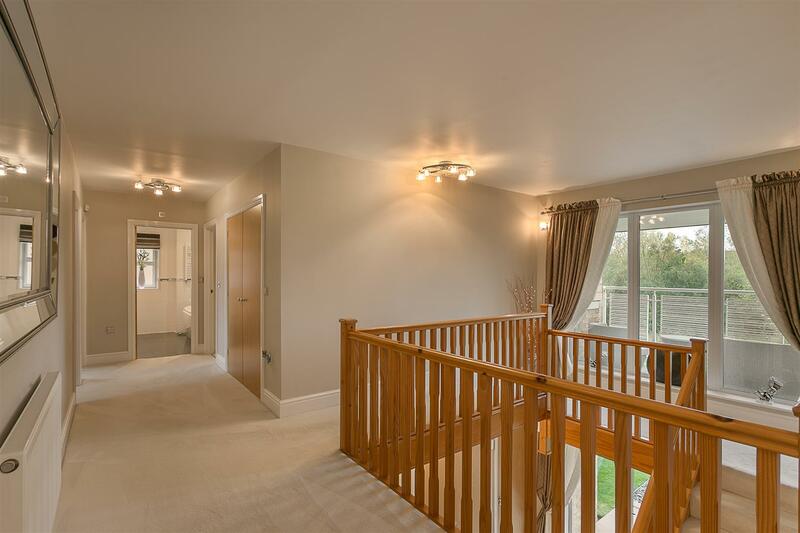 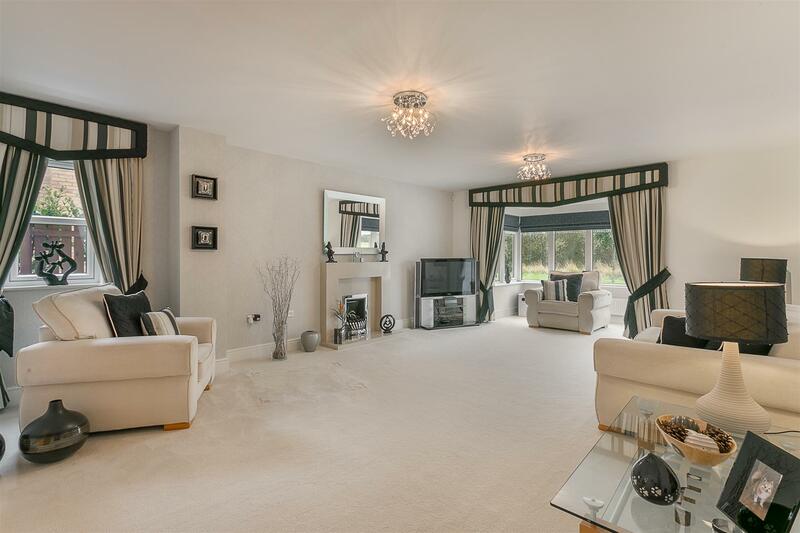 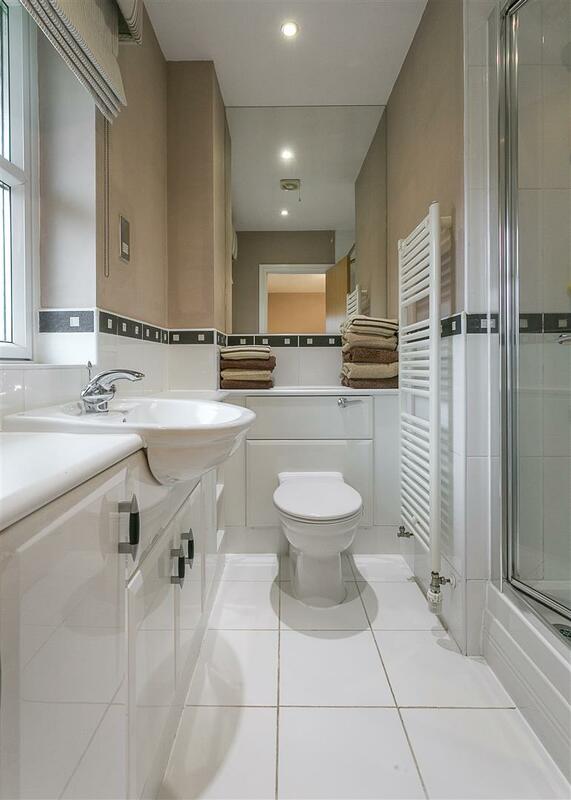 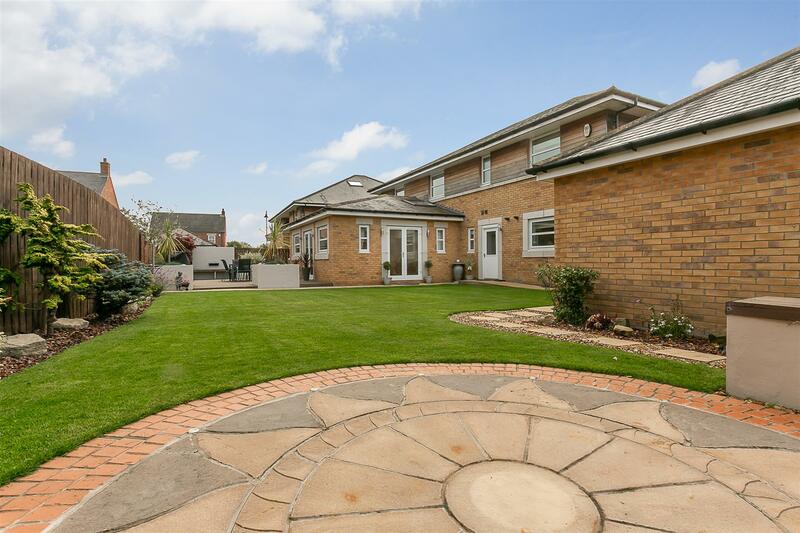 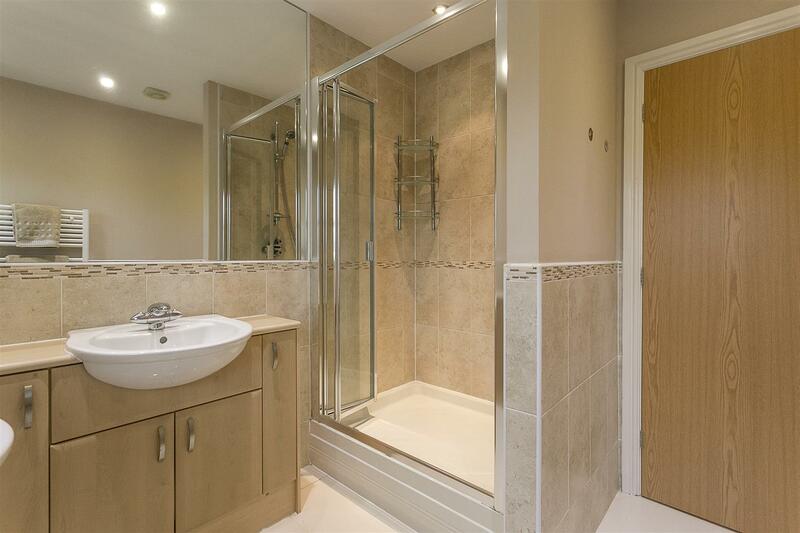 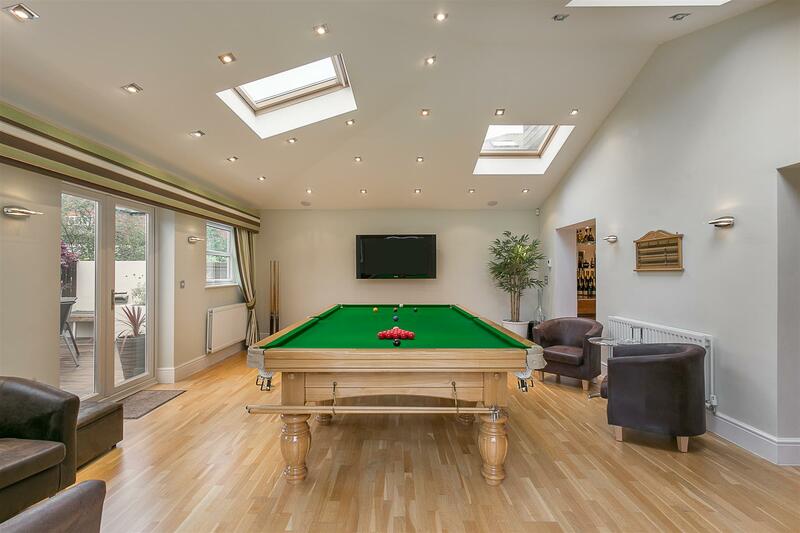 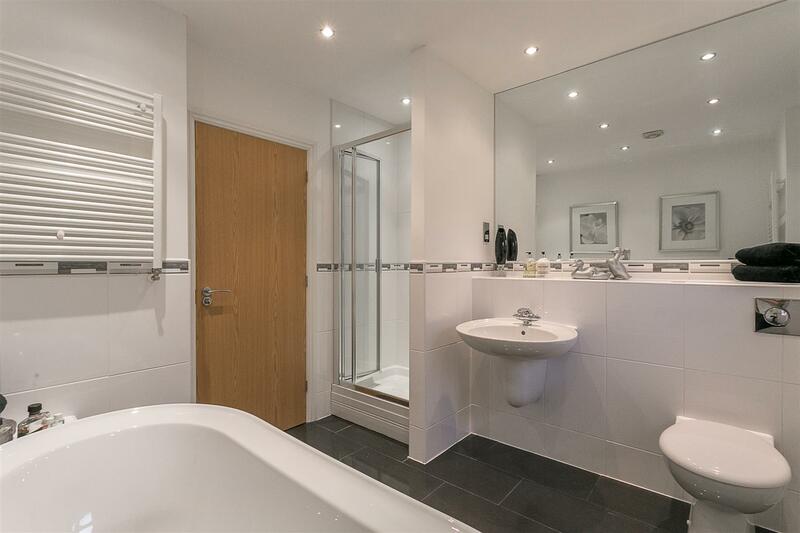 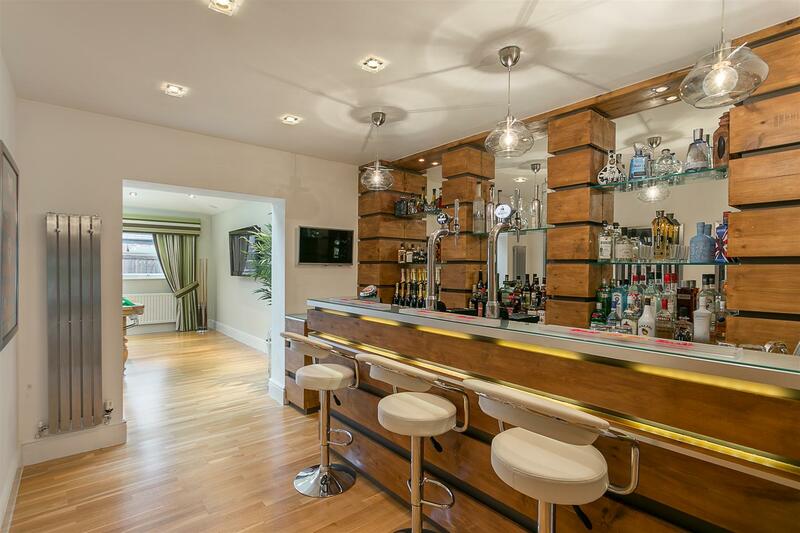 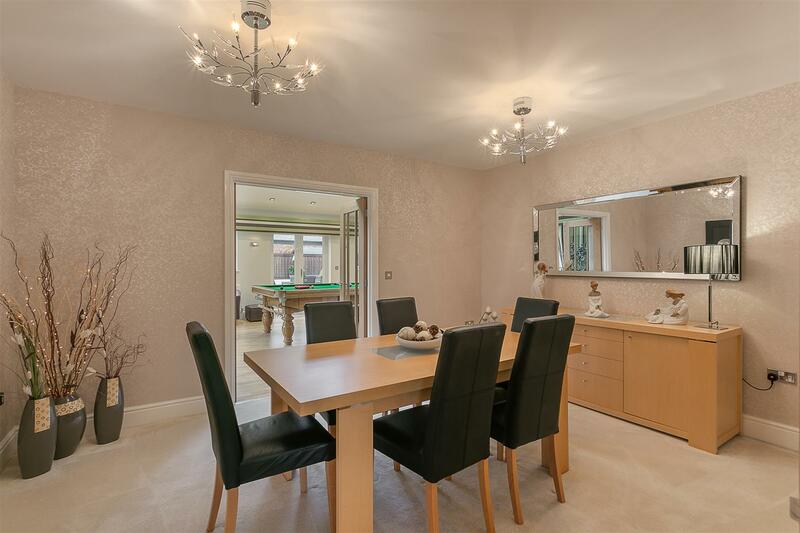 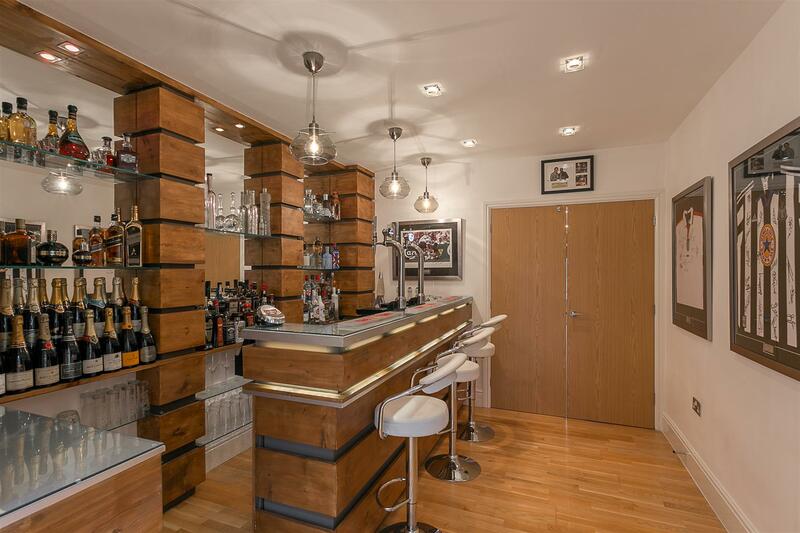 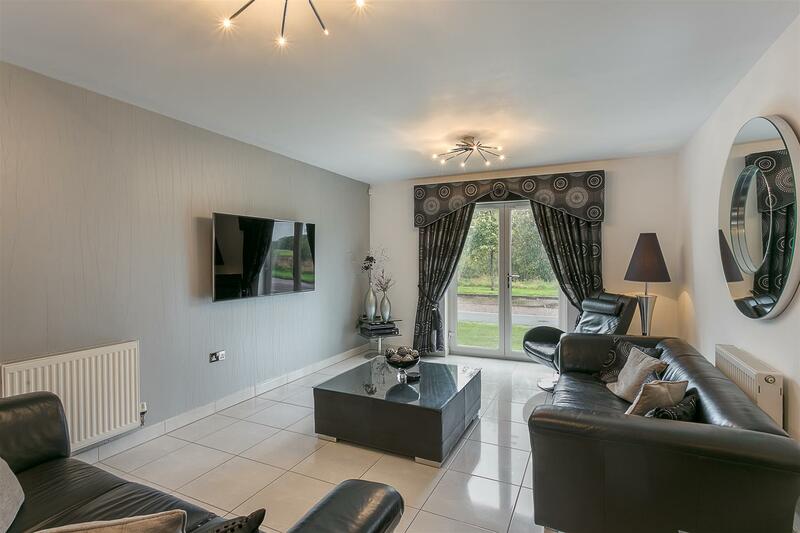 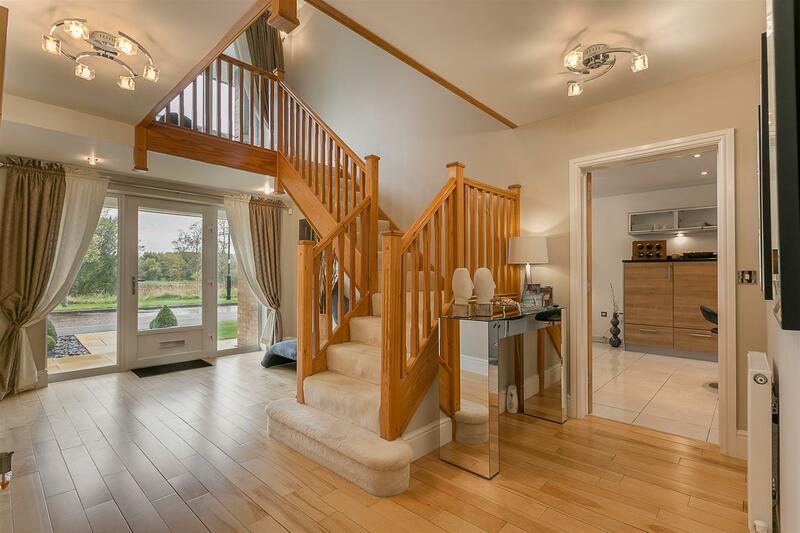 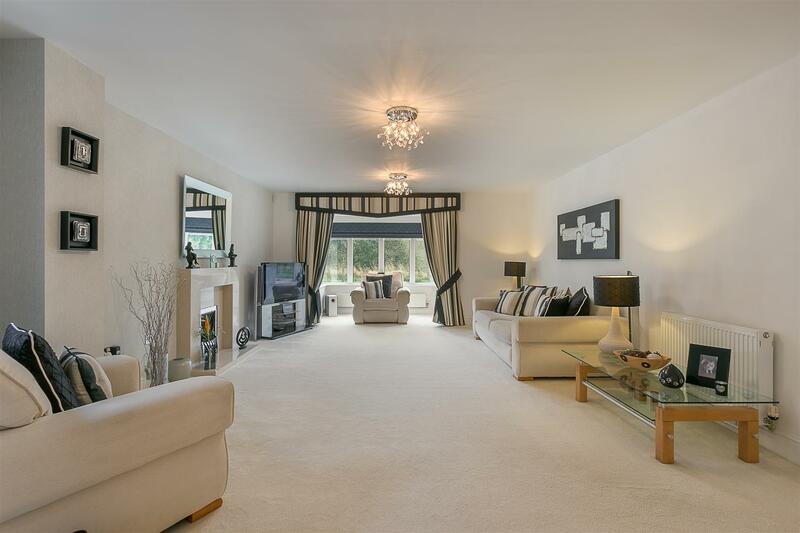 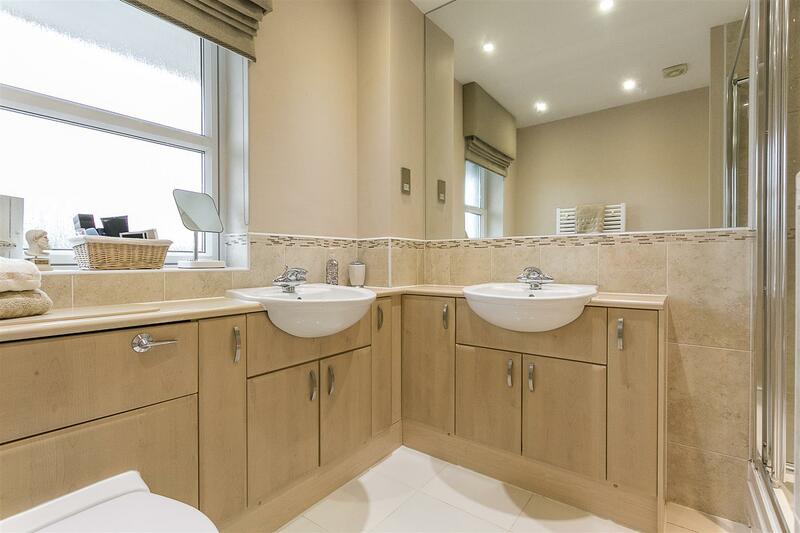 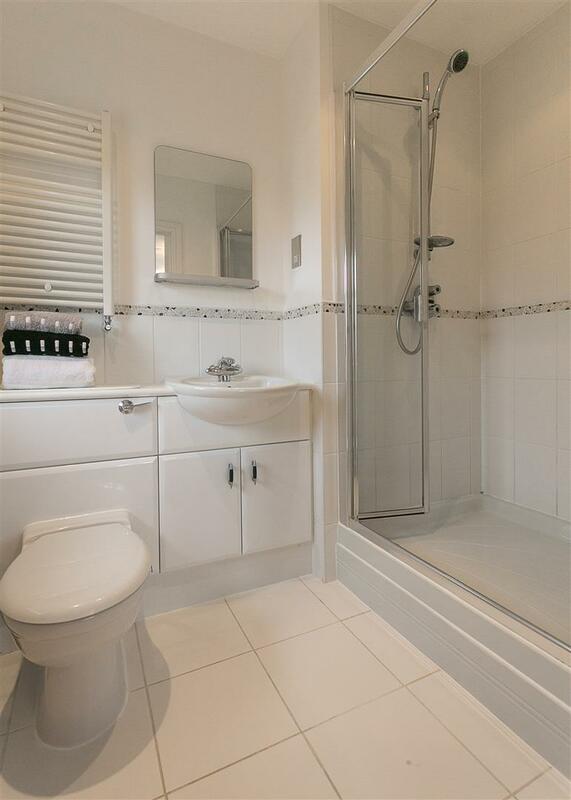 Luxury Detached Modern Home with Extended Games Room, Landscaped Rear Gardens and Open Aspect. 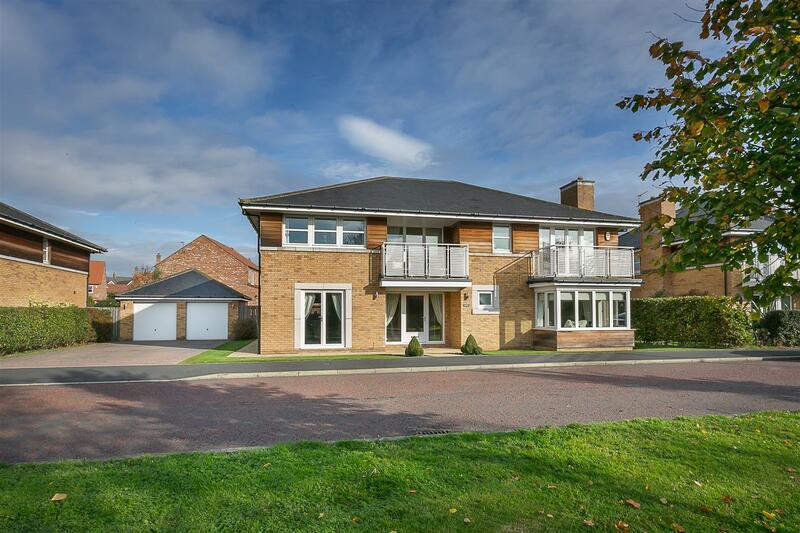 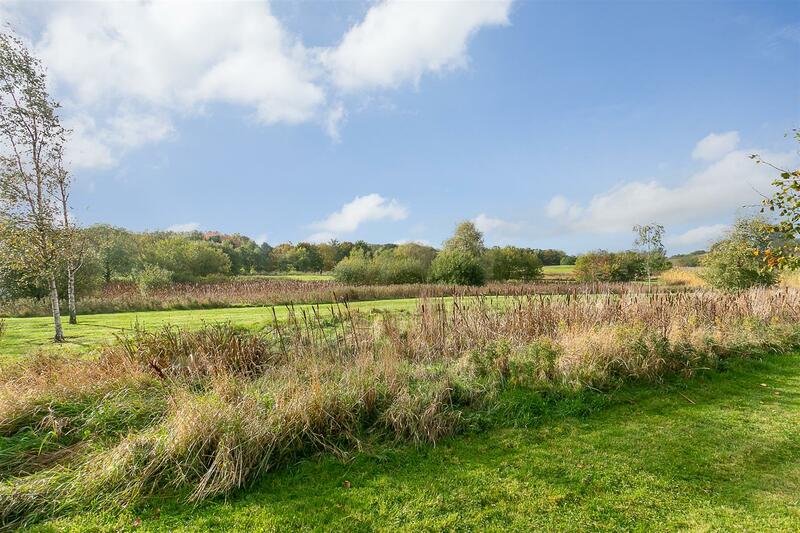 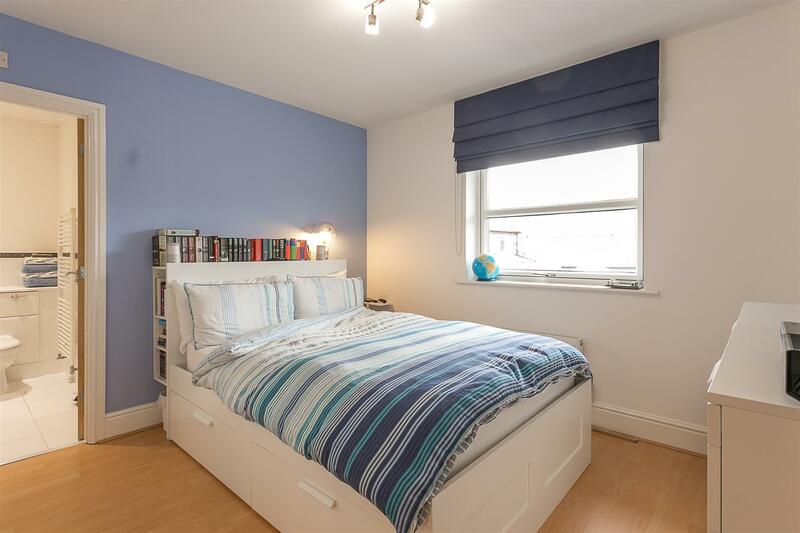 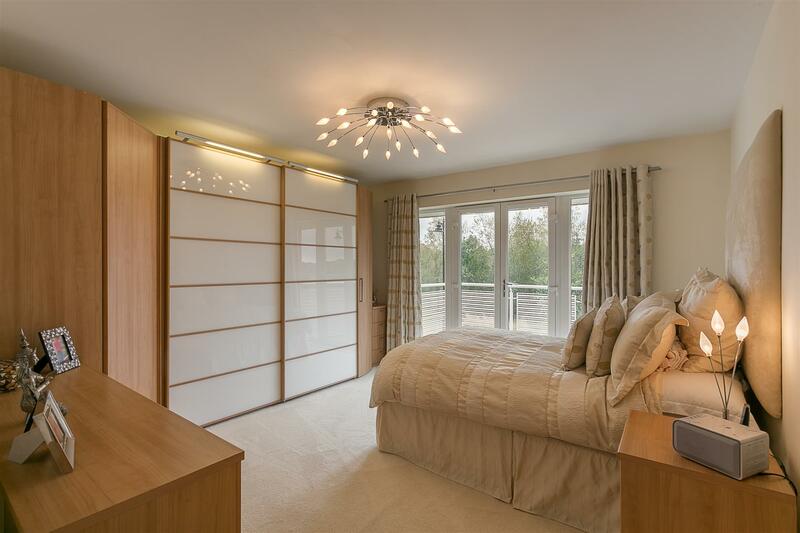 This well presented home boasts close to 3,200 Sq ft and occupies one of the largest plots at Lumley Way, Great Park. 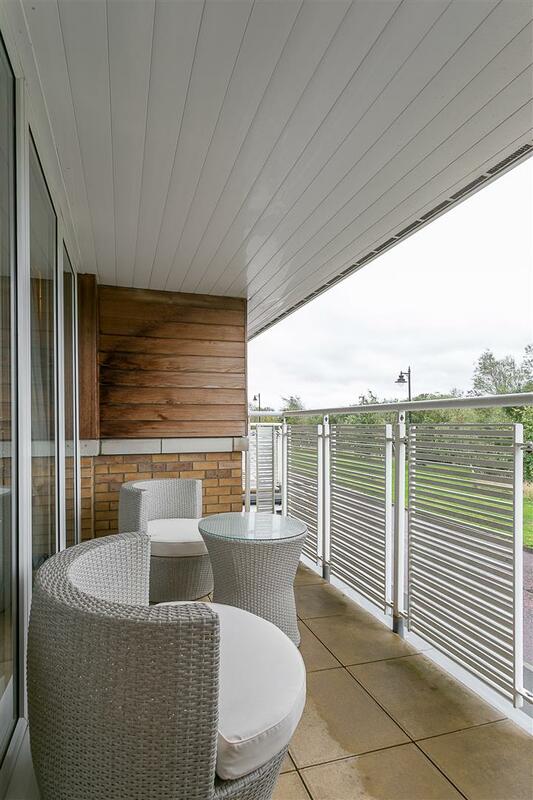 Lumley Way, which was originally constructed by Charles Church in 2007, offers some of largest style of modern living within the Great Park estate. 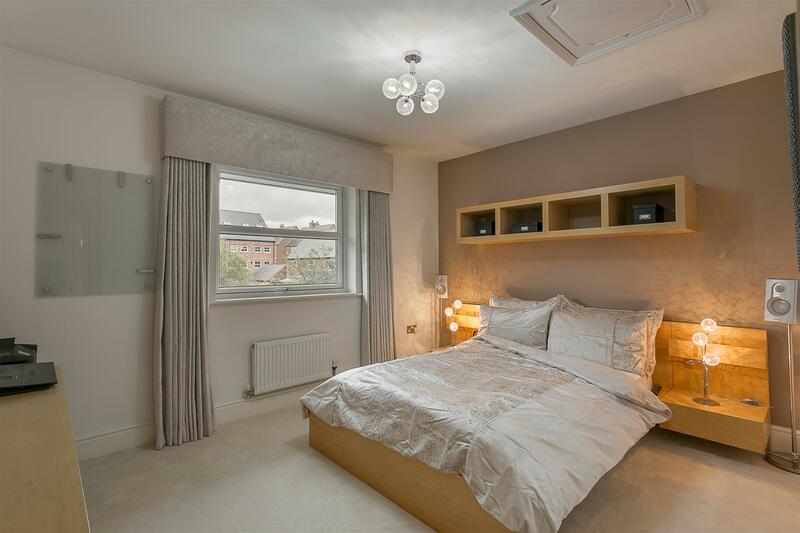 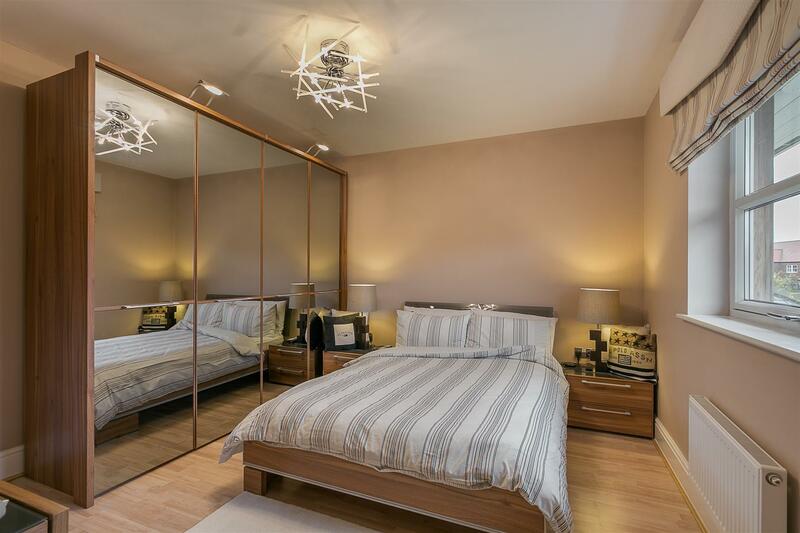 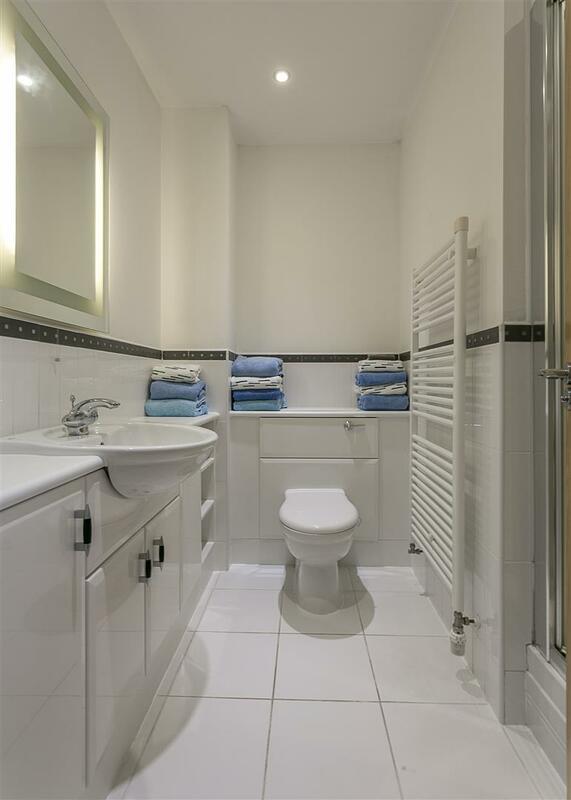 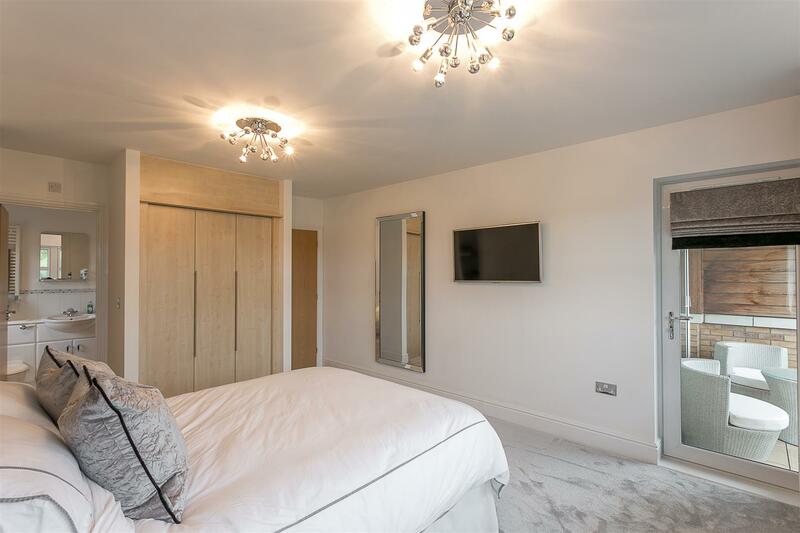 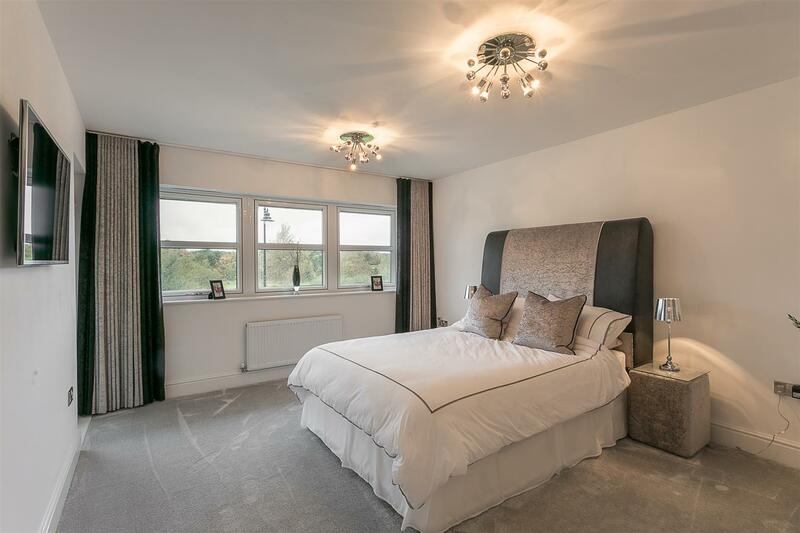 The property itself, which was thoughtfully extended by the current owners in 2009 offers five generous double bedrooms and four en-suites. 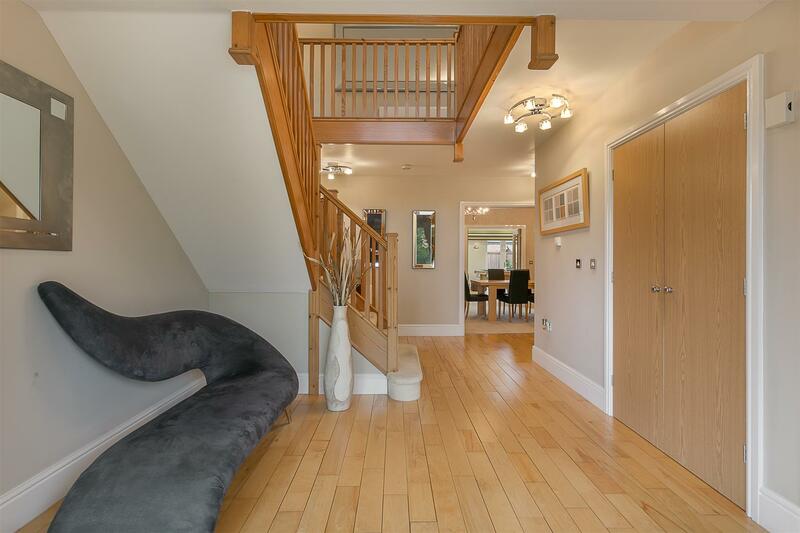 The internal accommodation comprises: a generous central entrance hall with return staircase to the first floor, cloakroom/WC and two storage cupboards; impressive 26ft lounge with dual aspect, feature fireplace and walk-in bay window with double doors leading to the bar area; stylish re-fitted bar area open to the extended 21ft family/games room with vaulted ceiling, three 'Velux' windows and two separate sets of French doors leading to the rear terrace and gardens and folding doors leading back to the dining room; full length 33ft kitchen, dining and family area, perfect for entertaining, with French doors onto the front garden, integrated appliances to the kitchen area, granite work-surfaces, central island with breakfast bar and door to utility; utility room with access to ground floor WC door to the rear garden to the ground floor. 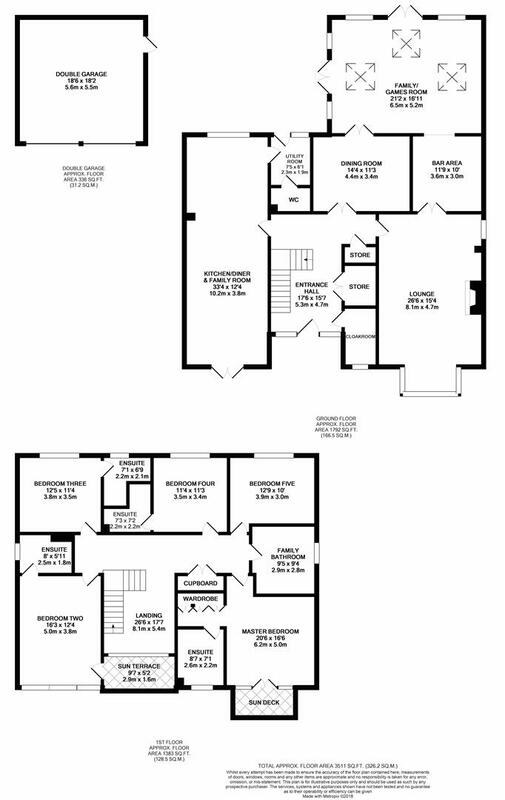 The generous first floor landing with store cupboard gives access to five double bedrooms, the master with access to a south facing balcony, dressing area and en-suite shower room; bedroom two again with en-suite shower room and access to private south facing balcony; bedrooms three and four both also benefit from en-suite shower rooms; re-fitted family bathroom with four piece suite. 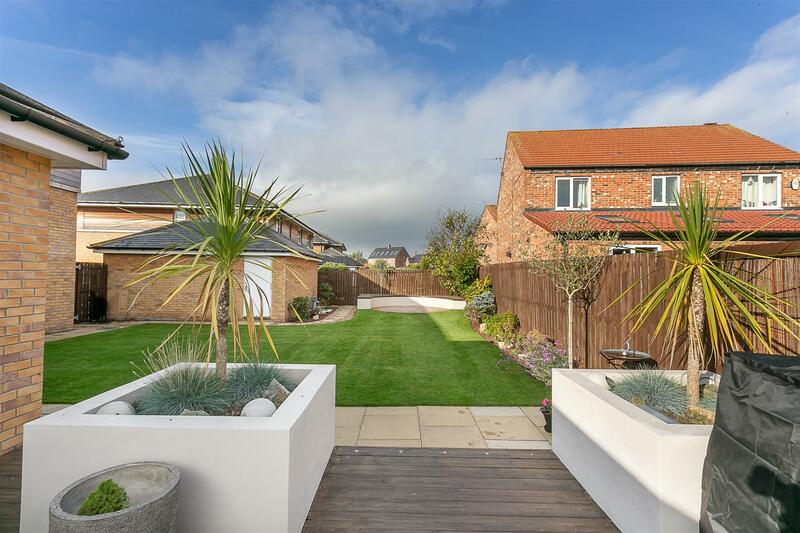 Externally, to the front, the property benefits from a well presented garden with hedged boundaries and a block paved driveway offering off street parking for multiple vehicles and access to a double garage with light and power. 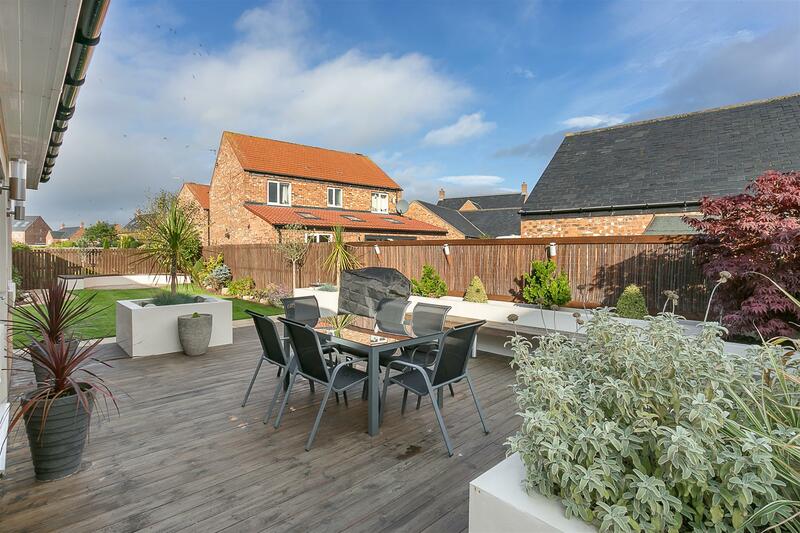 To the rear, a delightful landscaped garden, laid part to lawn, with a raised and decked seating and entertaining area with water feature, paved patios, well stocked borders with fenced boundaries. 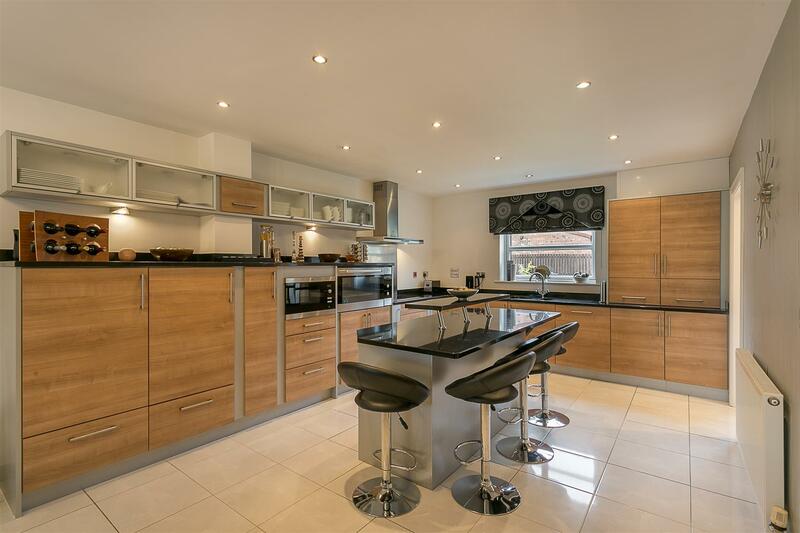 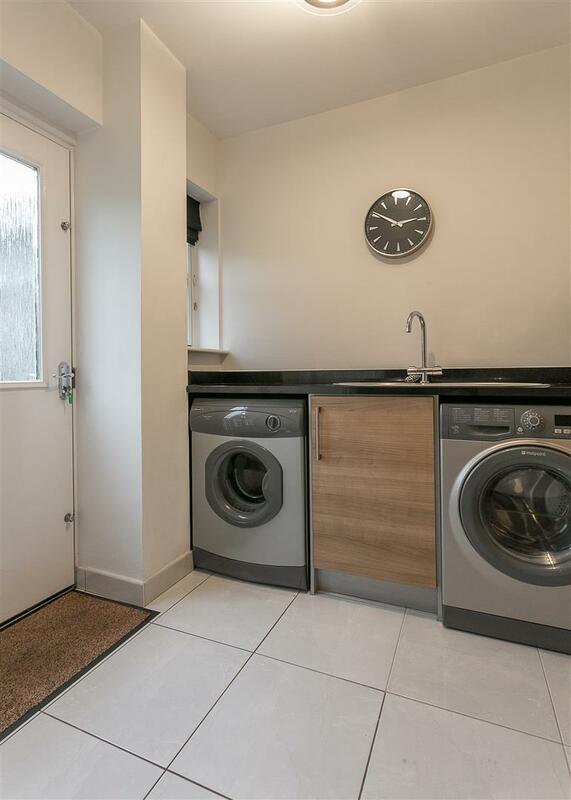 Well presented throughout, with double glazing and gas 'Combi' central heating this superb family home simply demands an early inspection.